1" 5/8" 1-1/2" 2" 1-1/4"
Balance before shipment, or irrevocable L/C negotiable. Price is according to the width and materials. The price here is for reference only, More information please feel free to contact us! Shenzhen Diamanent Industrial Co., Ltd.
Great and perfect for your DIY hair tie and headband, or to finish the edges of garments. Also we always develope the newest popular designs to meet customers' requirements. We are pride for our quality products, quick response, excellent service, and try best to provice customer good solutions. or,use the ribbons to decorate the lobby and increase the atmosphere. in fact,only a ribbon makes you more fashion. If you are interested in this kind of products ,please don't hesitate to contact us . There are many professional equipment and skillful workers in our factory. We can also finish orders according to different customers' demands. 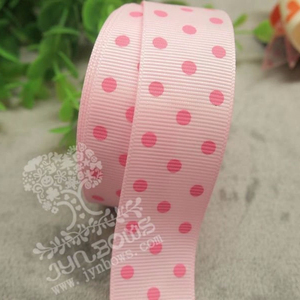 gift, packing, hair accessory, making for hair bow etc it's very popular in north america company profile packing & delivery faq related products our advantages printed grosgrain ribbon. ribbon is used for innumerable useful, ornamental and symbolic purposes. a ribbon or riband is a thin band of material, typically cloth but also plastic or sometimes metal, used primarily as decorative binding and tying. 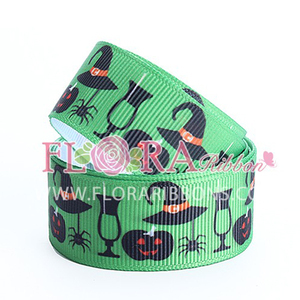 design full color halloween gift packaging grosgrain celebrate ribbon item name gift packaging grosgrain celebrate ribbon size can custom any size you like. color we customized as your request accessories we can custom grament accessories /belt/hair tie,lanyards,etc. is a place in the field of diy, handicrafts, hairpin, pet accessories, baby is dressed up, and so on a variety of purposes. suitable for garments, undergarments, shoes, bags, bedding and home textiles, craft gifts, hair tie etc. 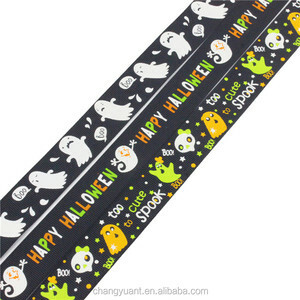 Alibaba.com offers 1,291 printed halloween ribbon products. About 19% of these are ribbons, 13% are gift ribbon, and 2% are christmas decoration supplies. 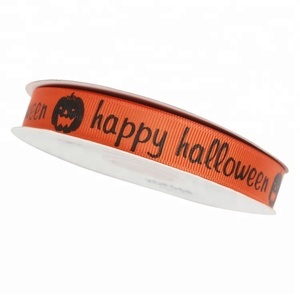 A wide variety of printed halloween ribbon options are available to you, such as 100% polyester, polyester. You can also choose from single face, double face. As well as from grosgrain, satin. 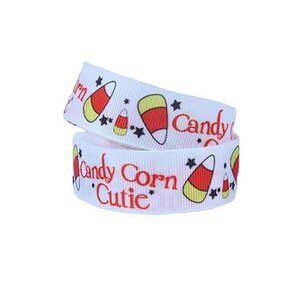 And whether printed halloween ribbon is 1", 5/8", or 1-1/2". 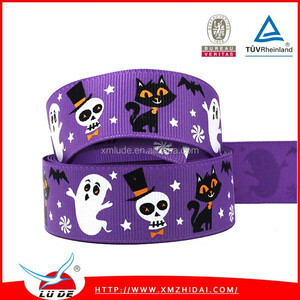 There are 1,291 printed halloween ribbon suppliers, mainly located in Asia. 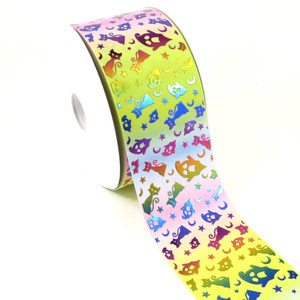 The top supplying countries are China (Mainland), Taiwan, and Japan, which supply 99%, 1%, and 1% of printed halloween ribbon respectively. 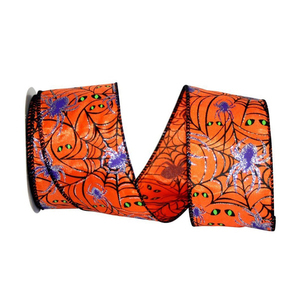 Printed halloween ribbon products are most popular in North America, Western Europe, and Eastern Asia. You can ensure product safety by selecting from certified suppliers, including 338 with BSCI, 314 with Other, and 128 with ISO9001 certification.